Many people have asked me in the tasting room or during a tour the difference between wine grapes and table grapes…Is there a difference? I have even heard is there a chemical reaction that converts grapes into a varietal of wine. At first I didn’t understand the question. I actually had that question twice in one day. I asked them to elaborate; they thought all grapes were the same and that we add some chemicals to crate the varietal of wine. No, we don’t. For instance Merlot wine comes from a grape called Merlot. Just like if you went into the market and visit the apple section to see the different varieties of apples, like Granny Smith, Pink lady, Honeycrisp, etc. Every fruit and vegetable has different varieties. Yes, you might find red, black or green grapes. For instance going to the market this week I have seen two varieties of green grapes, Thompson seedless and Cotton Candy. So, is there a taste difference between wine or table grapes? Table grapes tend to be less sweet than wine grapes. We measure sweetness or sugar levels by Brix. Brix is the scale to measure the percentage of sugar in a liquid. 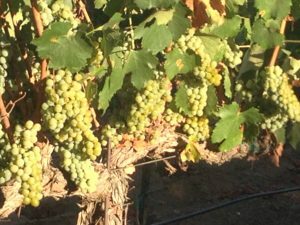 Wine grapes are usually between 24-26 when we harvest and table grapes that you get from the market are between17-19. The physical appearance of wine and table grapes are also different. Wine grapes are smaller, have very thick skins, lots of juice and have numerous seeds per grape. Table grapes are grown to be more physically eye-catching, less juice and more pulp, less acidity and sugar with thinner skins. Some table grapes do come seeded which tend to be more flavorful than a seedless variety. Almost all cultivated grapes that are grown around the world are Vitis vinifera. It is generally called the European grapevine which has ancestral roots in Iran. It includes wine grapes like Merlot or Syrah and table grapes like Red Globe grapes. Wine and table grapes are associated to one another through their species Vitis. There are more than 70 different species that are within the Vitis genus as well as the most common, Vitis vinifera, to the more ornamental, Vitis californica. All wine grapes are Vitis vinifera. Did you know that there is documentation proof of 40 species of grapes native to China? 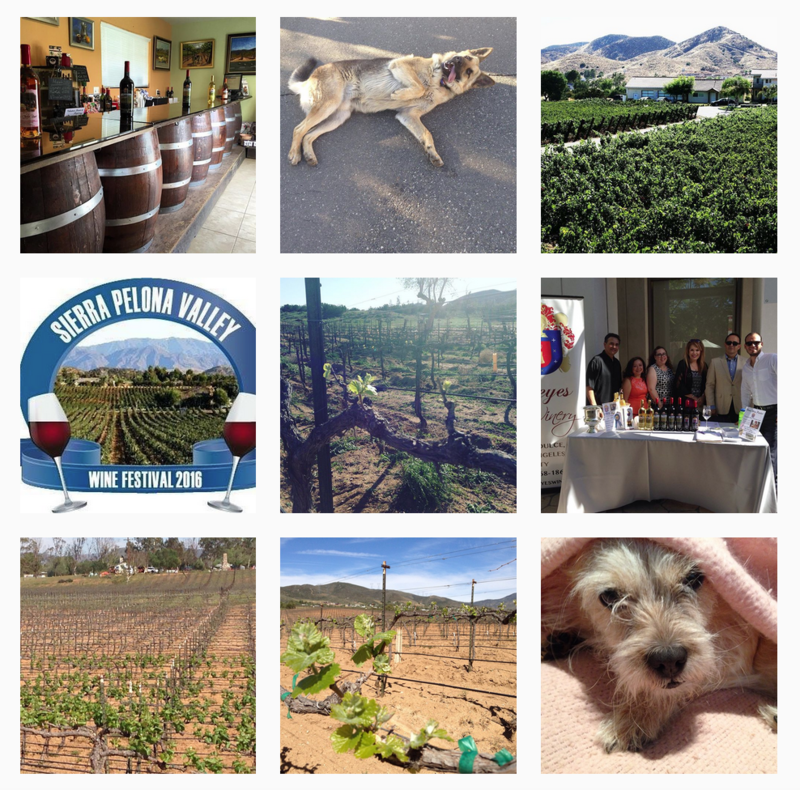 Can you identify a wine or table grape by the grapevine? Generally yes, the trellises are usually different. Wine grapes are grown with vertical trellises which help to manage the foliage and grape exposure to the sun. By doing this, it helps to concentrate the flavor by its growth. Also managing Vine vigor is very important, it is how productive a vine is. The more productive vine, the more concentrated it is; which results in a better wine. Table grapes are grown in a way to minimize clusters from touching other clusters, stems or leaves. A trellis system that lets the grapes hang independently is better for producing ideal table grapes. 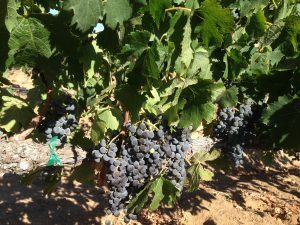 They tend to be more prolific than wine grapes and grow in areas with soils high in nutrients like California’s central valley. For instance, a single mature Cowart muscadine (Vitis rotundifolia) table grape vine that is native to southeastern US which can produce 15-30 lbs of grapes per vine, yet a Merlot (Vitis vinifera) wine grape vine produces about 8-12 lbs of grapes per vine. To understand better for wine grape vine production, that equals about a case of wine. One cluster equals a glass of wine and 5 glasses equals a bottle. But every year is different based upon the weather. In 2016, we harvested Merlot grapes equaling 3 barrels of wine. There are approximately 25 cases per barrel. Which means, in 2 years when the wine is ready to be bottled, we should have about 75 cases of wine. Then with all the rain we had this year, we harvested 12 barrels of Merlot. For our annual Pig Roast on November 4th, we will be sampling our harvest for everyone to try.